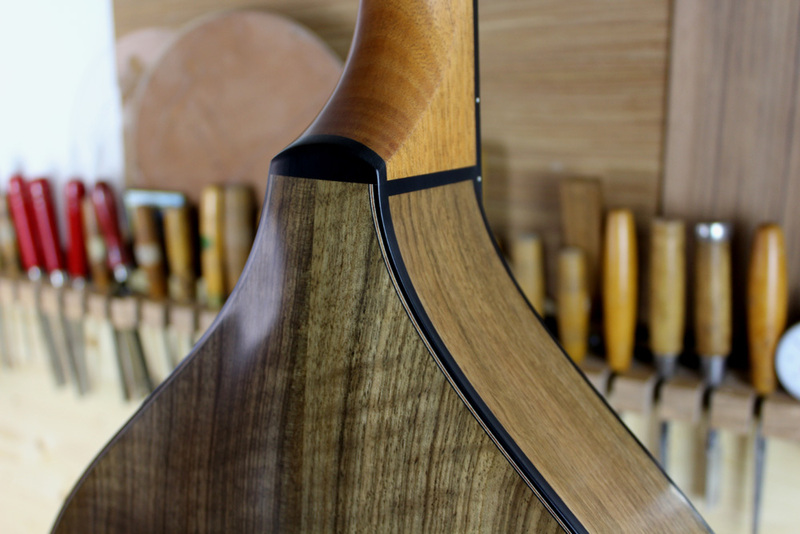 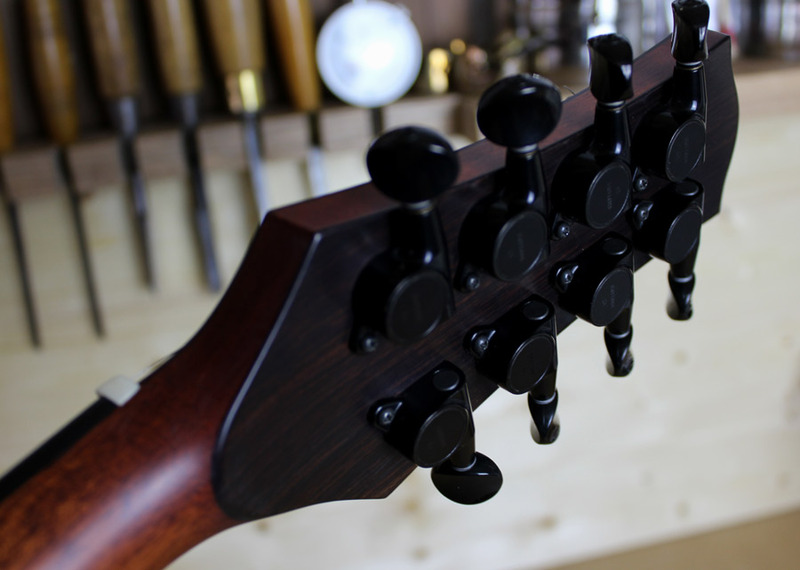 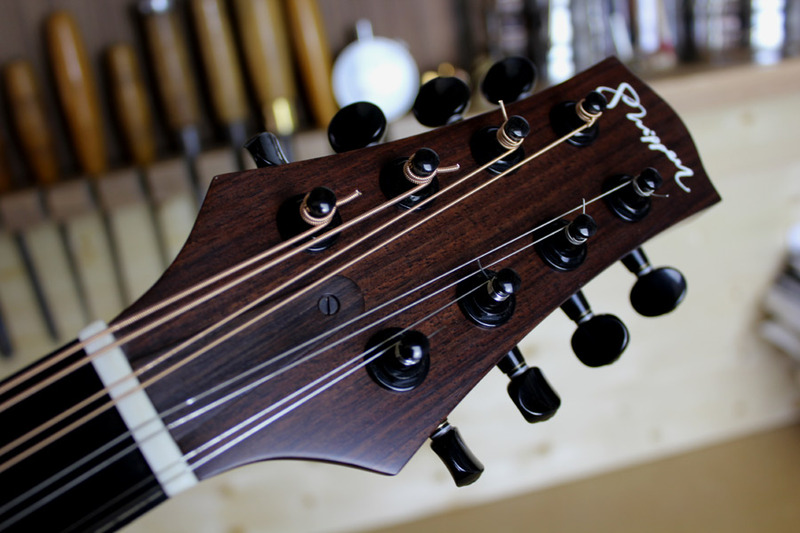 The “Axe” features an unusual combination of flat-top with carved-back. 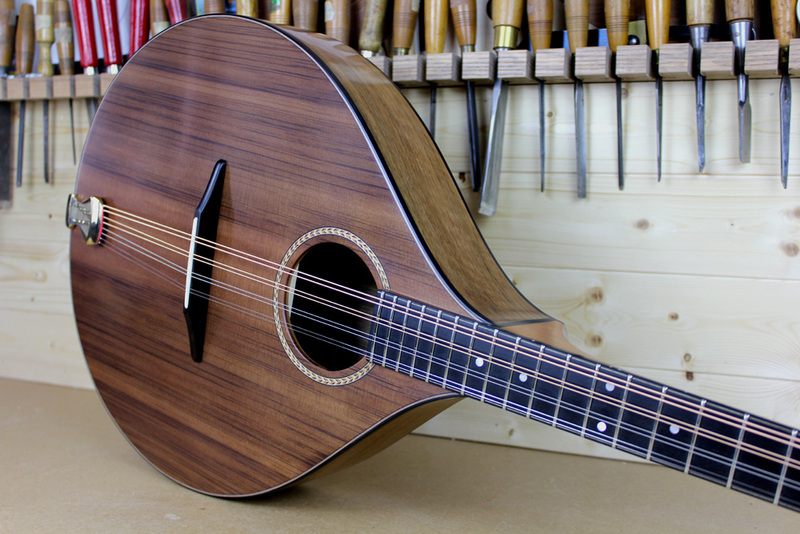 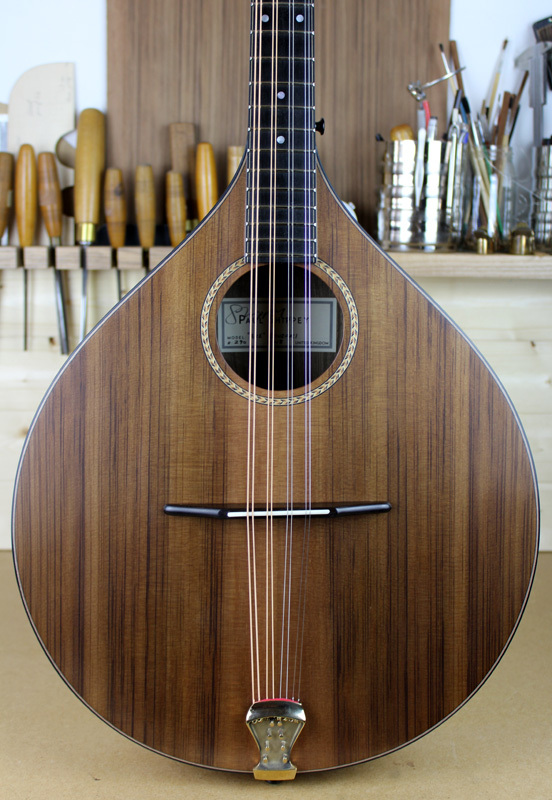 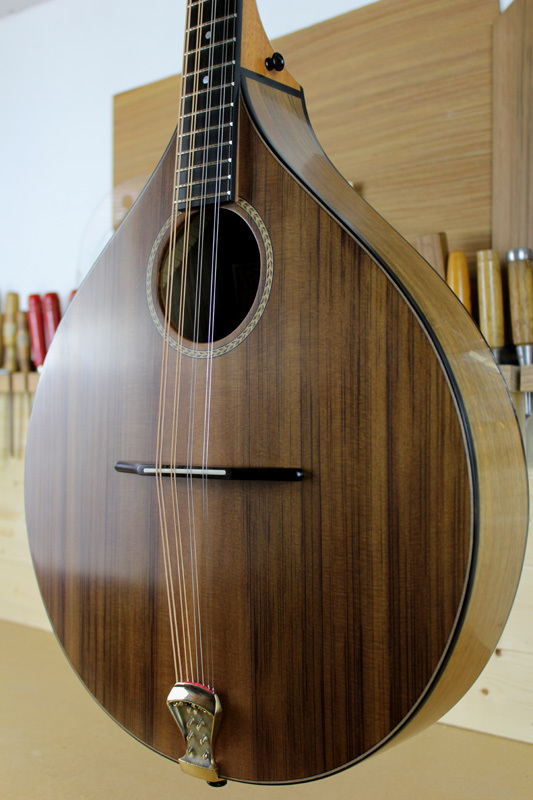 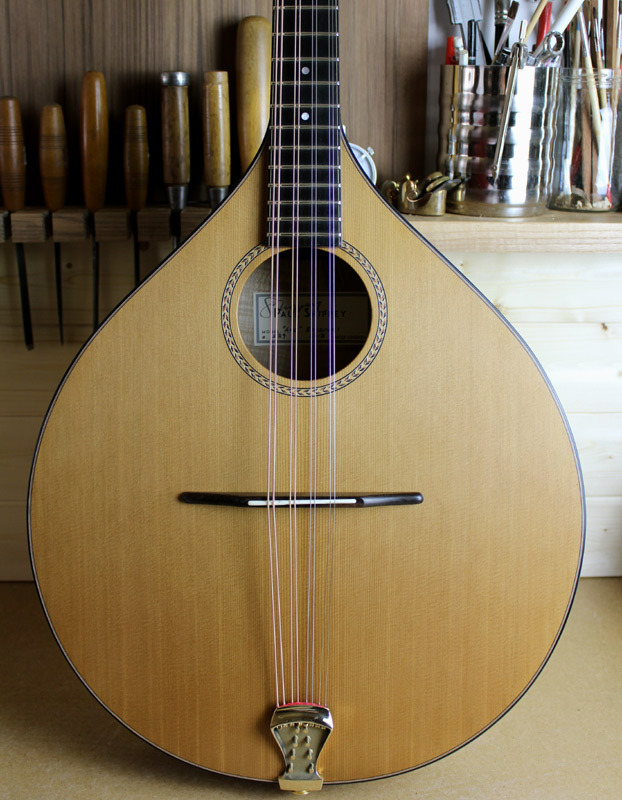 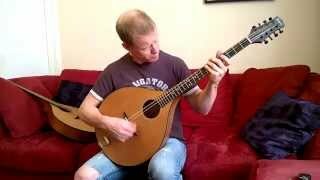 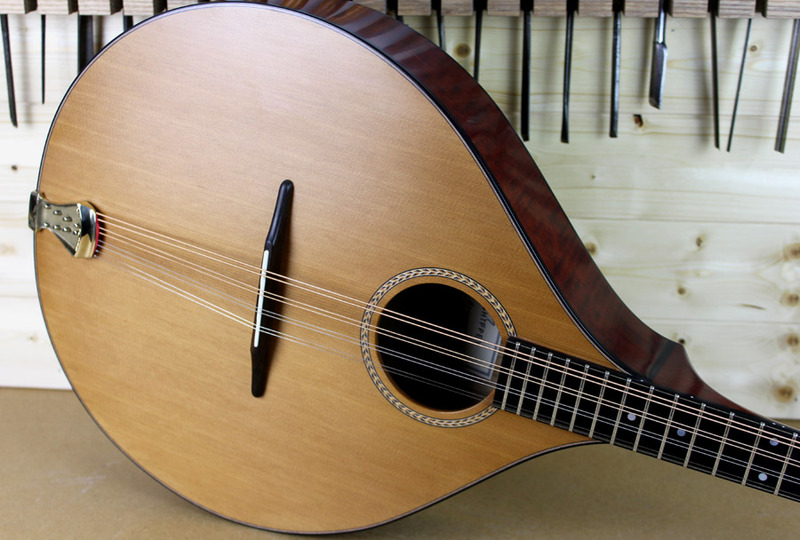 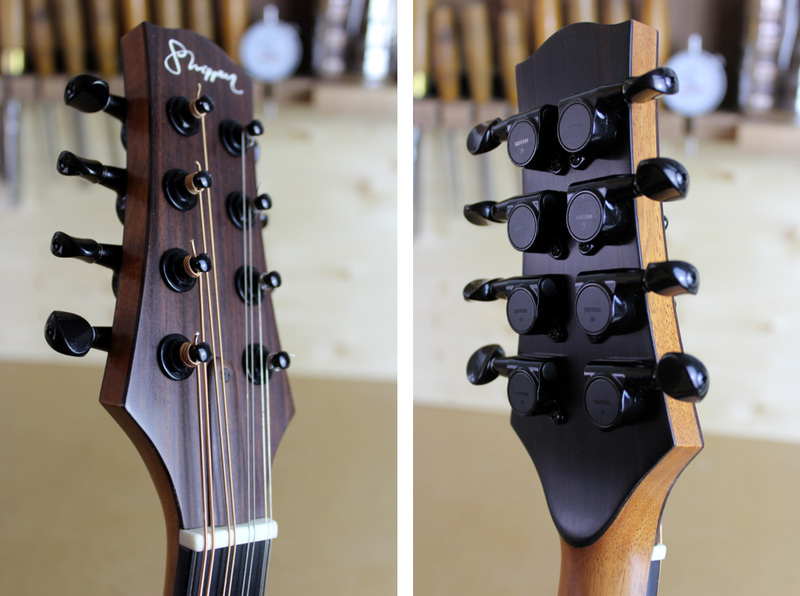 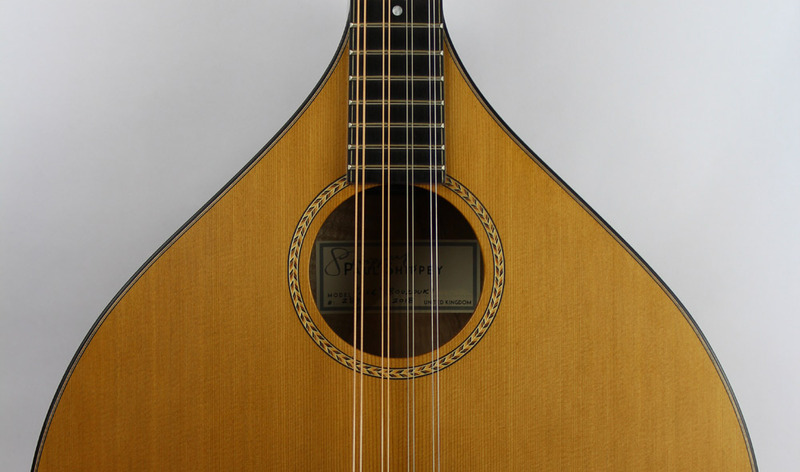 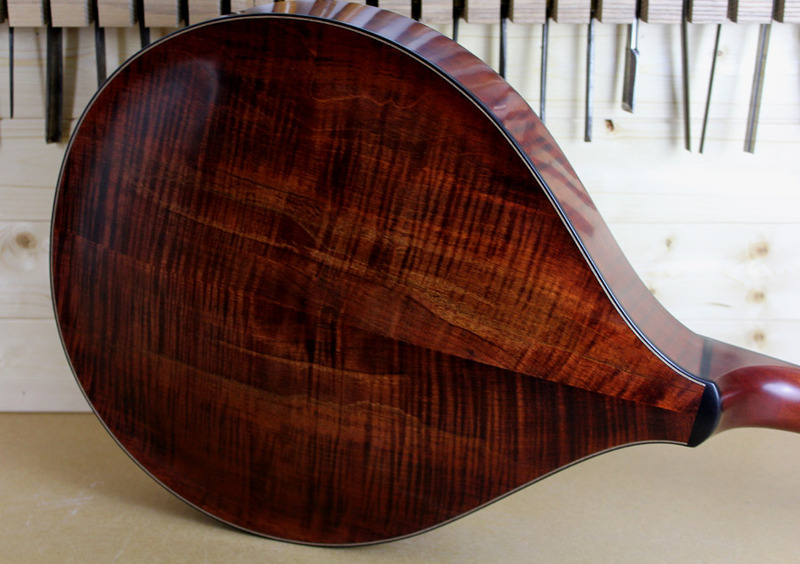 The carved back gives me a great deal of control over the tone of this bouzouki and plays an important role in the Axe’s projection and dynamic range. 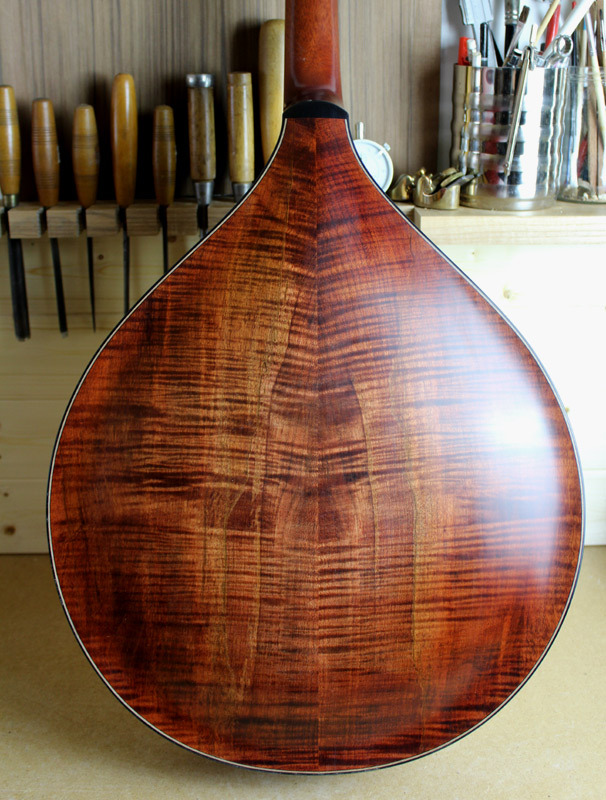 Locally sourced English sycamore or English Walnut carved back. 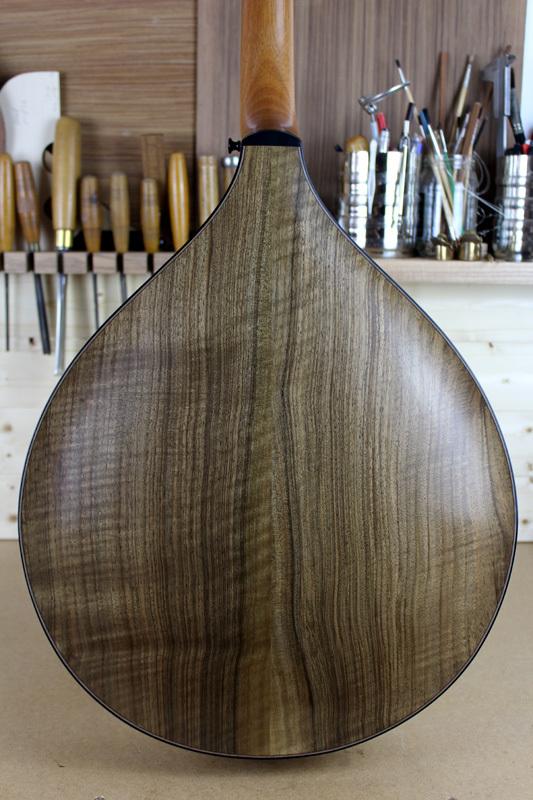 Ebony binding front and back of body.